Tinder sexual harassment suit: Former executive claims she was called a "whore," demoted because she was a woman. Tinder’s chief marketing officer, Justin Mateen, stands accused of all sorts of gobsmacking sexist behavior. Aside from the emotional violence, Wolfe alleges she was stripped of her status as a company co-founder explicitly because of her gender. First, she was kept out of the media. When Tinder-related articles appeared in more traditional business outlets, Wolfe’s name was often nowhere to be seen. When she would ask why only her name of the five founders was absent they would tell her “you’re a girl.” They stated that they couldn’t include her name in the business press, because it “makes the company look like it was an accident.” According to Mr. Mateen “a girl founder,” who at the time was 24, devalued the company. Then she was demoted officially. [I]n early November of 2013, Mr. Mateen and Mr. Rad informed Ms. Wolfe that they were removing her “co-founder” designation. Mr. Mateen told Ms. Wolfe that the reason she could no longer hold herself out as a co-founder was that she was a 24-year-old “girl” with little experience. 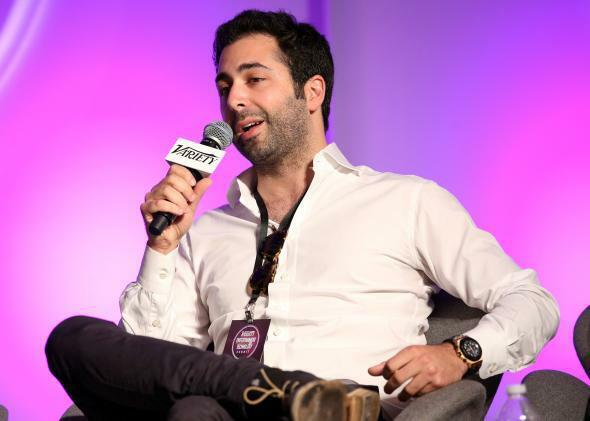 Once again he said that holding her out as a co-founder “makes the company look like a joke” and “devalues the company.” Mr. Mateen tried to justify the situation by saying “Facebook and Snapchat don’t have girl founders, it just makes it look like Tinder was some accident.” Further, as Mr. Rad informed Ms. Wolfe, IAC would not let her be publicly recognized as a co-founder. According to the suit, Wolfe resigned after the night Mateen called her a “whore” at the company party. A spokesman for media conglomerate IAC, which owns a majority stake in Tinder, told Reuters that Mateen had been suspended “pending an ongoing internal investigation.” However, they said the company believed “that Ms. Wolfe’s allegations with respect to Tinder and its management are unfounded.” Surely that will comfort all of Tinder’s female users.